“tease[s] out some recurrent international legal problems through the story of the life and opinions of D. H. G. H.-G. Salamander, lesser highly qualified publicist and minor poet”. The lecture is very much in the vein of Roger’s masterful piece: “Once upon a time there was a gap” from about 5 years ago. It is a wonderfully written piece that will have you laughing out loud. Watch out for the cameo appearances made by real life academics (departed and still living – including editors of blogs) as well as judges. The genius of the piece lies in the fact that as much as it is a humorous piece, it is also a most thoughtful piece about international law theory and methodology. It should cause readers to reflect on issues like the role and function of international law (and indeed of international lawyers). Those of you who enjoyed “Once upon A time there was a gap” will surely enjoy this new piece. I would encourage you to re-read the earlier piece to whet the appetite. Those who have not enjoyed the previous piece, well, that can only be because you have not yet read it. 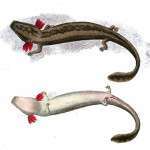 So you should also read that earlier piece and look out for the tale about D. H. G. H.-G. Salamander! The latest in our EJIL:Live! podcast series features an extended conversation between Professor Joseph Weiler, Editor-in-Chief of EJIL, and Professor Lorna McGregor of the University of Essex, whose ground-breaking article, “Alternative Dispute Resolution and Human Rights: Developing a Rights-Based Approach through the ECHR”, appears in EJIL, Volume 26, Issue 3. The conversation delves deeply into the issues raised by her article, providing an extremely useful complement to the article itself. 1. Lecturer position at University of Glasgow. The University of Glasgow (School of Law) is looking to hire a lecturer in international law. The job description can be found here and the closing date for applications is 19 January 2016. 2. Harvard Law School Visiting Fellows Program. The Human Rights Program at Harvard Law School invites applications from scholars, advocates and/or practitioners to be in residence for a period of one or two semesters, to take a step back and conduct a serious scholarly inquiry into the field of human rights. Visiting fellows are usually scholars with a substantial background in human rights, or experienced activists, and preference is given to candidates working on a project related to UN treaty bodies. No more than four appointments for the 2016-17 academic year are expected. Visiting Fellows generally are self-funded, although some limited financial support is available through the Eleanor Roosevelt Fellowship. Additional information may be found here. The deadline for applications is 12 February 2016. Applications are available here. On 25 November, the Supreme Court held in Keyu and Others v Secretary of State for Foreign & Commonwealth Affairs  UKSC 69 that the Foreign & Commonwealth Office was not under a duty, under Article 2 ECHR or domestic law, to hold an inquiry into the circumstances in which 24 unarmed rubber plantation workers were shot dead by British soldiers in 1948 during the emergency in Malaya. The issue in question, of when a state is under a duty to investigate historical events under Article 2 or 3 of the European Convention on Human Rights (ECHR), is increasingly relevant in a myriad of contexts today, including the holding of fresh inquests where new evidence has emerged (see the High Court of Northern Ireland’s recent judgment in Finucane’s (Geraldine) Application), accountability for death and mistreatment in the British colonies (see the Mau Mau litigation) and the prosecution of sexual offences carried out years ago. So what does Keyu add to this developing area? The claim was brought under several grounds, and the judgment contains interesting dicta on a number of issues, including whether the Wednesbury ‘reasonableness test’ should be replaced by a proportionality test (on which there has been commentary elsewhere, see here), and the extent to which UK human rights jurisprudence should ‘mirror’ that of the ECtHR with regard to temporal jurisdiction. But the main argument in the case, and the focus of this post, is the claim brought under Article 2 ECHR. On this the Court was unanimous, albeit for different reasons. The Joint Committee invited the submission of written evidence as part of its inquiry and you can find the evidence submitted to the Committee here. That evidence came from a range of sources, including academics and civil society. Christof Heyns (the UN Special Rapporteur on Extrajudicial, Arbitrary and Summary Executions), Lawrence Hill-Cawthorne, Thompson Chengeta and I put in a written submission which is essentially an article that we are writing on “The Right to Life and the International Law Framework Regulating the Use of Armed Drones” – but which starts with a 7 page summary of the article. That article is a much expanded version of the Report that Christof presented to the UN General Assembly on 25 October 2013, (UN Doc, A/68/30532). In the United Kingdom High Court (Administrative) decision of DD v Secretary of State for Home Department  (‘DD’) Ouseley J was required to consider, on a preliminary basis, whether the imposition of a Terrorism Prevention and Investigation Measure (‘TPIM’) (the successor of control orders) had violated the appellant’s right to freedom from inhuman or degrading treatment under article 3 of the European Convention on Human Rights (‘ECHR’). The decision, and the subsequent appeal decision of Collins J (DD v Secretary of State for Home Department  (‘DD (No 2)’), is significant for what it says about the role of the legitimacy and proportionality of measures when considering whether they are inhuman or degrading. More specifically, the first instance decision of Ouseley J appears to impermissibly balance ill-treatment against national security interests. In addition to this ostensible and impermissible conflation, both decisions rely on the European Court of Human Rights (‘ECtHR’) jurisprudence to support various findings without properly engaging with the very significant differences between such decisions and the facts of the instant case (especially the difference between detention following conviction and the imposing of TPIMs on individuals based on various degrees of ‘belief’ held by the Secretary of State). Similarly, neither decision considers the potential impact of the principle, regularly restated by the ECtHR, that the alleged conduct of an individual is irrelevant to a consideration of whether article 3 has been violated. ‘…would have far-reaching deleterious consequences; it would send a strong signal to other member states, some of which would probably follow the UK’s lead and also claim that compliance with certain judgments is not possible, necessary or expedient. That would probably be the beginning of the end of the ECHR system’. Minister for Human Rights Dominic Raab was unrepentant, arguing that it was a ‘matter of democratic principle’ to maintain the ban on prisoner voting ‘for the foreseeable future’. The next examination of the case by the Committee of Ministers may now be up to a year away. The uncertainty over the UK’s position vis-à-vis the European Convention on Human Rights (ECHR) will linger into the new year, because of the further delays in the publication of the government’s proposals for a ‘British bill of rights’ and its continuing equivocation. When asked recently (of all days, on human rights day…) whether the government would rule out introducing legislation that would ‘purport to relieve’ the UK from its obligation to comply with Strasbourg judgments – as proposed in the Conservative Party consultation document released by former Justice Secretary Chris Grayling – the Minister of State, Lord Faulks, replied: ‘While we want to remain part of the ECHR, we will not stay at any cost’. Pluricourts at the University of Oslo are pleased to announce a call for papers for their conference entitled ‘Strengthening the Validity of International Criminal Tribunals’ which will take place in Oslo on 29 – 30 August 2016. The conference will explore different controversies surrounding the field of international criminal law and seeks practical solutions to make international criminal justice more effective and relevant. They are interested in hearing perspectives from both practitioners and scholars, and welcome contributions from different disciplines. Abstracts are to be submitted by 29 February 2016. Further details can be found on here.